Water: During winter months you should better keep the plant almost completely dry. Water it only to prevent the drying of roots (normally, once per month is enough). Starting from March, the growing process is going to start. This is when watering must be increased until late May, as the plant is in its full growth. Safely water the cactus once per week during summer months. Add as much water as the pot of the plant is allowed to drain. When the temperature is extremely high, you must water the plant once per day. Starting from late September the watering process must be reduced in order to force the plant going in to a condition of semi dormancy. Before November comes, you are to get back to the winter-type watering regime. Soil: A rich and fast-draining soil mix is another tip for proper care for mammillaria. During the entire growing season it is highly important to fertilize the soil with a proper mix, whereas feeding during the dormant period should be suspended. When the compost is fresh, it is not necessary to use the feeding. However, if the plant has not been repotted recently, use a half-strength general purpose fertilizer at the watering time from May and during one month. This is a basic rule for those, who’d like to know how to care properly. Fertilizer: Never feed the plant from September and onwards. Why? This may lead to lush growth that is fatal during dark an cold autumn and winter months. Light: Light instructions are pretty simple as well. 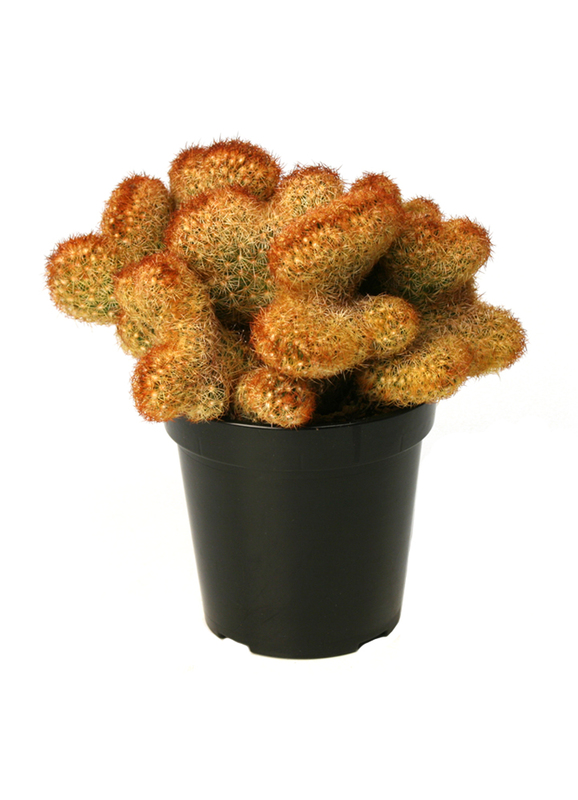 Grow mammillaria in bright sun during summer months, trying to avoid rather strong midday sun. This is going to help to prevent plant scorching. When winter comes, allow much more direct light as it is comparatively weaker than the summer sun. Keep the plant in an east or west facing window or a south facing one in case there are net curtains that assist in protecting it from harsh light. Cacti like being in little pots and require repotting every 3-5 years. When you buy your cactus, most likely it will have been in the current pot for some time. Repot, using a pot only slightly larger than the pot it originally came in. If you have too big of a pot, you will over-water. This will cause stem and root rot, which will kill the plant. Cactus are used to 90-100 degree heat, they require south-facing windows for the bright light that they produce. During the fall and winter months, they are used to temperatures from 45-55 degrees farenheit. When you first get your plant, you will have to water it when needed. A good rule of thumb is that the cactus soil should have a half inch of dry soil on top. Using a pencil, prod the soil to check for moisture at that level. When watering in the dormant season (fall and winter), you should only have to water it every couple of weeks. A light fertilizer should be used, a 5-10-10 every 2-3 months as needed. This entry was posted in 我的花园My Garden on April 15, 2017 by JimFang08.